Special notice details: Smoking policy: Smoking is not permitted in guestrooms, balconies and guest corridors. Guests who do not comply will be charged a $250 room recovery fee. This does not apply to public areas. Promotions: All-inclusive Package available. Click "see more" for details. 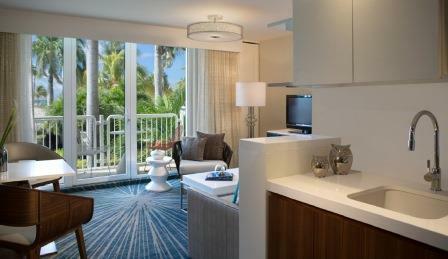 - Resort accommodations as selected by room type (based on double occupancy). 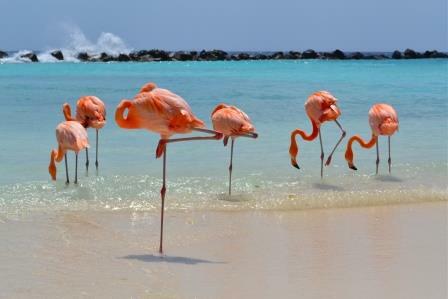 Book an Island Room at a Resort Room price and book an Ocean Suite at an Island Suite price. Terms: Based on availability. Hotel blackout dates may apply. New reservations only; cannot be applied to previously booked rooms. Unused portions of this special have no cash value. This special is not combinable. Minimum 4 night stay. Offer may be withdrawn at any time. The hotel will give you any coupons vouchers or gifts for this special when you check in. Package does not include: Room service, retail store purchases, minibar purchases, spa treatments or massages, motorized and non-motorized water sports, diving, beverages in the casinos, tours, In-room movies, incidental charges (phone calls or internet use), wine by the bottle, champagne, and certain deluxe spirits and cordial purchases. 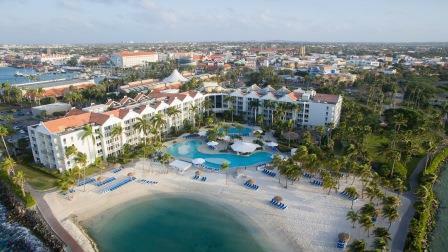 At Renaissance Aruba Resort & Casino, you Live Life to Discover. 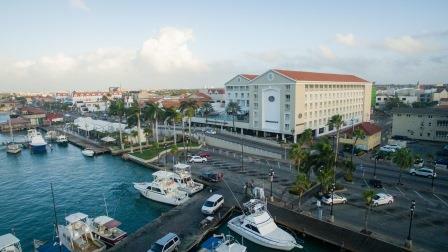 In the heart of Oranjestad, at the epicenter of excitement – it is a goal to indulge you with a world of discoveries that will inspire your inner artist, audiophile, gourmand, sophisticate, and pleasure-seeker. 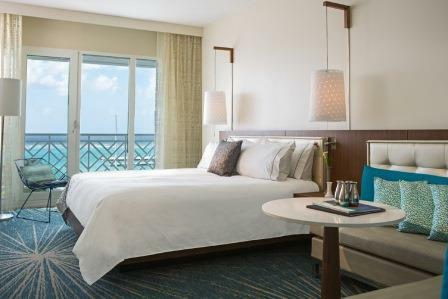 Renaissance Aruba Resort & Casino’s two newly renovated accommodations – the adult-exclusive Renaissance Marina Hotel and the spacious one-bedroom Renaissance Ocean Suites – offer singles and couples the perfect blend of chic style and island culture. 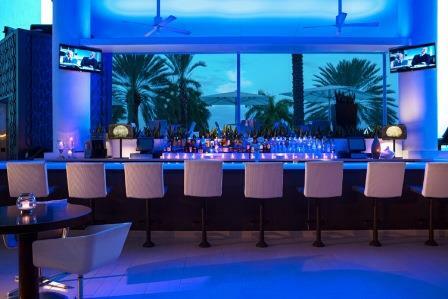 The Renaissance Marina Hotel caters to adults in the heart of the city, at the epicenter of excitement offering lots of entertainment, an infinity pool overlooking the Marina and many sophisticated restaurants and bars. The Renaissance Ocean Suites offers spacious one-bedroom suites, a little more secluded and ideal to enjoy a tropical wonderland complete with resort-style pools with a swim up bar, a private lagoon and an open air restaurant. Here you'll immerse your senses from the moment you arrive and engage you in the island’s most fashionable events to world class acts at the RLifeLIVE events. From the Okeanos Spa to the Renaissance Mall to the two world-class casinos to enjoying everything from sunsets to spa treatments on Aruba’s only private white-sand beaches on Renaissance Island, you will see, shop, sip and savor all that this island paradise has to offer and revel in the Aruban culture in a way you can only experience from the heart of the city. Breakfast meal plan and all inclusive plans available. Children 5 years and under eat free with paying adult. Terms: Package has to be purchased for entire stay and for all in room; minimum 4 night stay required; package starts with dinner on the day of arrival and ends with breakfast on the day of departure (check in time is 4pm, check out time is noon); alcoholic beverages will not be served to minors (17 and under); unused portions are non-refundable and non-transferable; full bottles of any type of liquor are not included; children 5 and under are required to choose from the Kids Menu where available; these package prices are upon availability and are subject to change; advance dinner reservations have to be made through the Concierge; restaurant participation is subject to change without prior notification; spa treatments require reservations in advance.